Samsung presents its latest Always-Connected notebook featuring an Intel processor and operating system options including Windows, Android, and Chrome OS. Always-Connected notebooks first feature Qualcomm’s Snapdragon processors offering similar capabilities like a smartphone that’s intended to be ‘Always Connected’ and Always On. 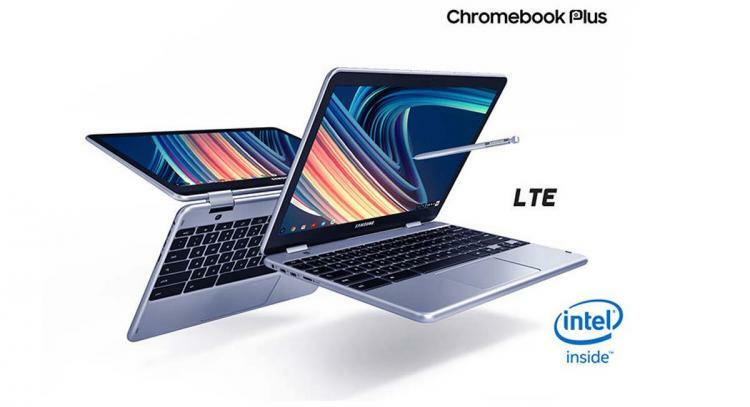 The new Samsung Chromebook Plus V2 will also be featuring LTE connectivity and operating system options including Windows and Android aside from Chrome OS. This offer users better experience and every essential for daily use. The Samsung Chromebook Plus V2 (LTE) is a lightweight 2-in-1 premium Chromebook offered at a very competitive price point. It is perfect for users that need on-the-go internet connectivity where you can flip open to activate and search on the internet in a jiffy. The Chromebook Plus V2 (LTE) is built to be lightweight and durable with its sleek metal body just like the current generation Samsung Chromebook Plus. It can be slipped into a bag easily with less than half an inch thickness and weighs less than 2.5lbs. It comes with a built-in pen and two cameras. Samsung worked closely with Intel and Chrome to develop the next-generation Chromebook Plus. The next-generation Chrome OS aims to deliver simpler, faster and more secure computing for everyone. To meet more demands of its target users, Samsung and Chrome will offer the flexibility of having multiple operating systems making the Chromebook Plus V2 a versatile portable notebook for personal and work use. The Samsung Chromebook Plus V2 (LTE) will be available starting November 2, 2018 at Samsung.com and partner resellers including Best Buy and Verizon in the United States. The Samsung Chromebook Plus V2 (LTE) has an MSRP of $599.99 USD. Learn more about Samsung’s Chromebook lineup here.